This is an exciting opportunity to join the largest paediatric academic health sciences centre in Canada. Located in the heart of downtown Toronto, the Hospital for Sick Children (SickKids), affiliated with the University of Toronto, is Canada's most research-intensive hospital. As innovators in child health, SickKids improves the health of children by integrating care, research and teaching. A major redevelopment plan, Project Horizon, is underway that will feature digital, efficient and sustainable buildings that contribute to the urban fabric of downtown Toronto and its economic viability, as well as enhance the ability to deliver high-quality specialized care by investing in new, sustainable facilities and technology. Project Horizon provides the opportunity to build an inspired, re-imagined hospital of the future that will transform the experience of patients and their families and enable the delivery of state-of-the-art care. 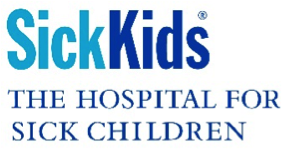 For more information about SickKids, please visit http://www.sickkids.ca. Reporting to the Vice President and Chief Financial Officer, the Director of Facilities Operations and Support Services (Director) will provide overall strategic and operational leadership for the Hospital’s facilities operations and support services. The Director will work in collaborative partnership with clinical and operational leaders to deliver outstanding customer service related to facilities and support services. The Director will lead a portfolio, encompassing 400 staff that includes: Patient Support Services; Protection Services, Plant Operations, and Environmental Sustainability. Working in partnership with the VP and CFO, along with key partners, the Director will be instrumental in creating the strategy and mapping out the approach for the Hospital’s ongoing facility/support services operational needs and leading the execution of this plan in becoming a reality. The successful candidate will have at least 7-10 years of progressive leadership experience, in a similarly complex health care environment, ideally undergoing redevelopment. He/she will have extensive plant operations/support services experience, and have demonstrated their ability to lead people, manage large projects, keep stakeholders effectively involved in the process, and meet key milestones and deadlines. In addition to plant operations/support services experience, the candidate will be an exceptional communicator and relationship builder, effective at promoting collaboration and managing change. He/she will be an excellent problem solver who can make solid decisions, and both manage and lead the business. To confidentially explore this opportunity, please email your resume, quoting the appropriate position title, to Judy Mandelman, at resumes@promeus.ca. It's Not Just Our Business, It’s Our Passion! Promeus is a retained executive search firm that provides solutions for executive recruitment and selection in the Education, Government, HealthCare, Municipal, Private, Public and Not for Profit sectors. Our mission is to work in partnership with our clients to help improve their organizational performance by delivering outstanding leadership solutions. We will introduce you to exceptional candidates. Using our local, national and global network, as well as a search process customized to meet your unique needs, we will ensure sound advice and recommendations through every step of the project. We will also ensure you are supported beyond the placement -- success to us means that the chosen candidate is thriving in the position and delivering value to the organization, not simply when the job is filled. Promeus offers a new vision in strategic leadership recruitment that is built on a foundation of over 40 years of executive search experience. Promeus has a wide breadth of experience with particular depth in education, health, and the broader public sector as well as finance and general management within the private sector. Our Partners and Associates bring extensive market and expertise gained through personal experience in their chosen practice areas. Your organization’s future and success is a responsibility we take very seriously. We understand that whether you are conducting talent assessments or hiring for a new leadership position, your organizational strategy is highly sensitive and is dependent on the confidence and trust you place in your Executive Search partners. Our team can provide that confidence. In addition, our team upholds the rigorous quality and professional practice standards of the Association of Executive Search Consultants and the Canadian Association of Management Consultants.